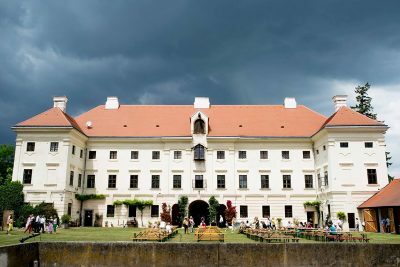 The annual Feast of Pentecost in Prinzendorf offers the unique opportunity to visit several exhibitions and Hermann Nitsch’s studio in the castle, in which the artist is living and working. 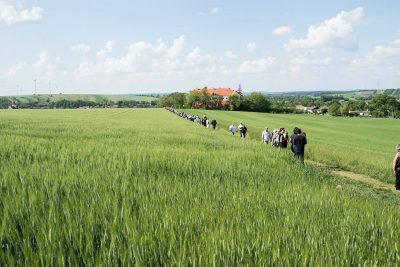 Further important elements of the feast are the natural wine from Nitsch’s own vineyard, a traditional Heuriger buffet accompanied by local brass music and a joint procession through the fields of the surrounds. 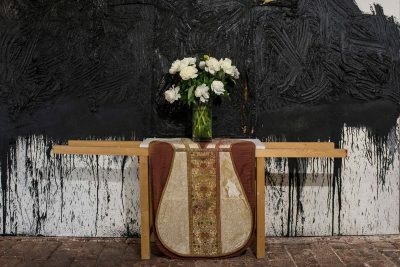 The Feast of Pentecost of Hermann Nitsch is a celebration for all members of the Verein zur Förderung des O.M. Theaters, as well as for all friends and interested parties in the Orgies Mysteries Theatre. Informations about the admission and the course of action will follow soon.